Home » Beyond Food, Blog, Food Additives, Food Processing, Food safety, Genetically Modified Foods (GMO), Movies, Organic Food, Solutions, Uncategorized	» Certain multivitamin use associated with increased risk of breast cancer. It is needless to say much about how wide-spread is the use of multivitamins in our society. You see it advertised on TV, you hear people talk about them, and you see rows and rows of them in every pharmacy store. As per American Journal for Clinical Nutrition (original article) , multivitamin use is linked to the increased risk of breast cancer. This study lasted 12 years, from 1997 to 2009, and involved over 35000 women. 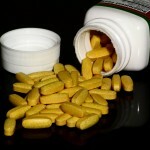 Not taking multivitamins does not mean that you need to be vitamin-deprived. Get the vitamins the way nature intended for us to get them – by eating well balanced diet of quality organic food. Conclusions: These results suggest that multivitamin use is associated with an increased risk of breast cancer.